When someone says the name ZPacks people either know how awesome they are, or they have never heard of them. If you don’t know about ZPacks, I’m going to tell you about an amazing ultralight gear manufacturer based in Florida. I carried an Arc Blast for no less than 2,000 miles of my AT thru hike in 2016. I’m rounding down, we didn’t slackpack that much in PA. I’d say that qualifies as a good base of information on the pack. My base weight fluctuated from 11-15 lbs throughout my hike. My total pack weight never exceeded 27 lbs. My gear choices seen in my pre trail gear list were extensively researched. Including my Arc Blast. The Arc Blast is a cuben fiber ultralight backpack. It’s also super badass. That’s the reader’s digest description. The Arc Blast is a 55 liter pack that weighs 23 ounces. That honestly should be enough. There I said it. But wait… there’s more. This UL pack is the lightest pack I have seen that still creates air flow between the wearer and the gear. You know what swamp back is? Try hiking all summer with a backpack glued to your sweaty back. This roll top pack main compartment is 42 liters with two 2.5 liter side pockets and an 8 liter mesh pocket. The side pockets are large enough to fit a Nalgene bottle and designed so you can remove and replace it on the go. I’ll also go out on a limb and say this backpack is also waterproof, even if ZPacks won’t. I say this because I hiked in the rain many times. I didn’t have a single issue with any items inside getting wet. I sent my rain cover home by Trail Days because I didn’t need it. It’s rated up to 35 lbs which I carried comfortably, just not on my thru hike. All standard bear canisters will fit inside the pack. I broke a carbon stay in Northern Virginia so my pack did not Arc for a few miles until they sent me a free pair ahead of me on the trail. The hip belt had less padding than I would like to see. I was also extremely thin by the time I hit New England. I started with a small hip belt and switched to an extra small at Trail Days. I used my ZSeat as additional padding eventually since I was already carrying that. The mesh pocket can be torn by sharp objects in the pocket. Let’s talk about price because I’ve had several folks talk about going with ZPacks but they are weary because of the price. To purchase my pack set up right now it would be $370 plus shipping, and maybe tax. This pack weighs 23 ounces. Compare this weight and price alone to any other pack out there. The initial cost might seem high for the average hiker. But this pack is going to last forever for that average hiker. That’s a one time investment. 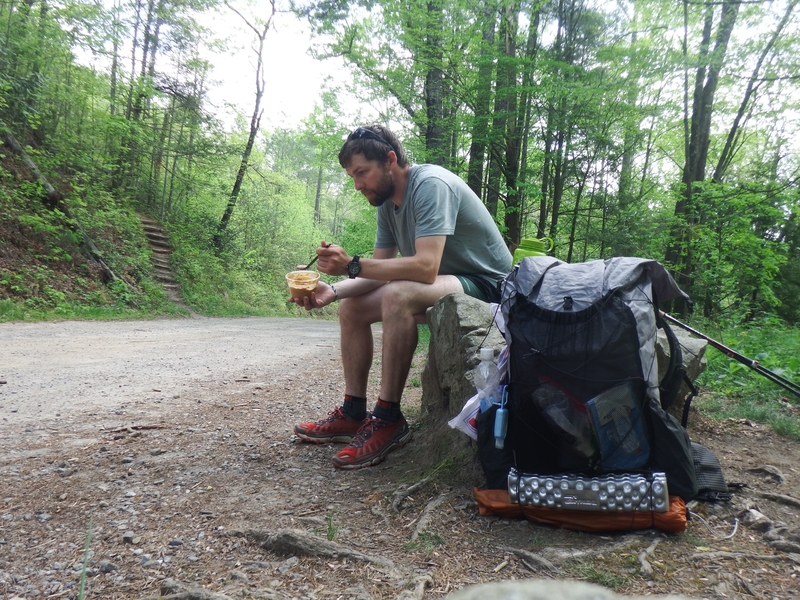 For a thru hiker this pack is worth it’s weight in golden Ramen tickets. Waterproof, ultralight AND unlike other true ultralight pack manufacturers it also provides airflow. This was my highest priced item I purchased for my hike. It was well worth the price for what it truly is. I couldn’t be happier with this pack, or the people from the company. I met the team at Trail Days where I picked up an extra small hip belt for $20. They instructed me how to safely replace it and provided me with an additional bar. I had a defect issue with my pack before I reached Tennessee. I emailed them photos and explained what was going on. They sent me a new pack to the hostel a few days north and I returned the damaged one for $7 shipping. They were simply amazing to work with. After almost 2,000 miles my pack still has plenty of life left in it. I intend to test it to it’s limits. I can’t say enough great things about the Arc Blast. It’s a fantastic pack and I highly recommend it. Solid review. I worked with Red Beard getting my arc blast that just arrived today. Switching over from the Exos 58, this pack is hard to get adjusted just right and all, but I love the weight. I’ve watched Joe & Will’s videos that really help. It seems like it would be easier to load it before cranking down the arc. I’ll just have to keep fiddling with until I find that sweet spot or go back to the Exos. I really do want the Arc Blast to work out. I, too, own a ZPack. The Arc Zip. I had it made out out of the Gridstop Fabric which is a tad stronger. I also had extra padding on both the shoulders and hip belt. By far, it is my favorite pack. Love the front opening zipper instead of a top loader. It was a tad pricey, but worth it. Good quality gear. The very first sentence in your review poses a problem that I simply must respond to. You say: “When someone says the name ZPacks people either know how awesome they are, or they have never heard of them.” Your statement implies (much more than implies actually, it states as fact that everyone believes the Arc Blast is awesome) that every person either believes the Arc Blast is awesome or they are unaware of the existence of the pack. You dismiss entirely the possibility that another backpacker’s reaction to the Arc Blast might be: “meh”. This is the problem with true believers Dylan. They have to so completely convince themselves of the rightness of their belief that they cannot fathom that anyone else would not be in total agreement with them. Personally I have no use for, not any affinity to, any ZPacks backpack. 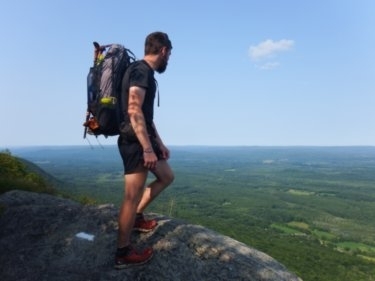 My belief is that a slightly heavier, certainly more conventional backpack is easier to carry, more completely transfers the weight of your gear to your pelvis, and will last dramatically longer than any pack – yes ANY – made from Cuben Fiber. So, please know that there are divergent opinions among experienced backpackers about equipment. Many people KNOW OF ZPacks backpacks and do not believe they are awesome. I believe if he started with any Ultra Light or super ultra light backpacker – his statement is true. When hiking is the primary objective instead of camping and almost everything you carry is multi use and ultra light there is no advantage to a heavy weight dispersing pack. 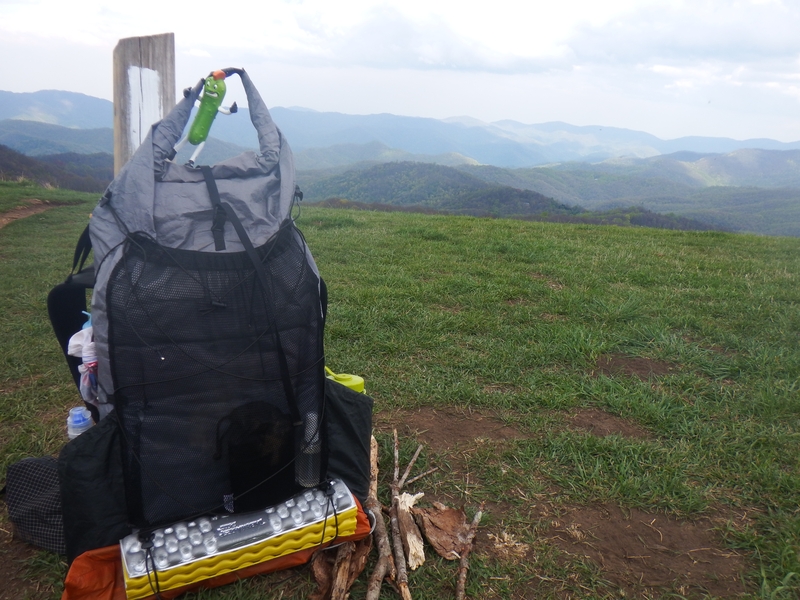 I also really enjoyed my ArcBlast on trail, it was the pack I finally settled on after going through a ULA and an Osprey… all while on trail… yikes. I wanted the ArcBlast from the begining but wasn’t sure because of the cost. If I had just started with the Arc Blast, I ultimately would have saved myself some money! Hind sight is 20/20 though. I still do enjoy my ULA pack, I just couldn’t ever get the load to really transfer properly from the shoulder straps to the hip belt… might have been a sizing issue honestly. Also loved loved loved our Triplex tent from Zpacks. They make great gear, and better yet, they stand by it when something goes wrong. Good stuff! I’m not one to kill the buzz of anyone’s choices (HYOH, right? ), but I’ve just had a lot of hesitation pulling the trigger on the Zpacks packs for 2 main reasons…and you mentioned them both. 1) that hip belt just doesn’t look comfortable being that thin (certainly subjective) and 2) The stories, like yours, I hear of the bar coming out of the slot which renders the arc nonexistent. Doesn’t the website even display how to tie a knot to help prevent that from happening? That doesn’t bode well to me. The price is high, yes. But I could deal with that if there was a nice padded belt and maybe a system where I didn’t have to create that arc. I ended up going with the GG Mariposa and it’s not without faults either including the fact it is just hideous-looking in my eyes lol But I was previously using an Osprey Atmos AG 65 which I adored for its comfort and durability (I never felt like I was carrying heavy loads even at 35lbs). But I also abhored its 4lb 6oz base weight. Excellent review though and of course my view comes from an less experienced person in the UL community. I take issue with the review in a few places: the main problem for me is durability. It lasted three years of moderate hiking but most certainly is not the only pack I’ll ever need to buy as stated here. I need a new one for the PCT. It is now shredding white fibre internally and four holes have appeared in the bottom. I can fix them but the zpacks is clearly done. In addition, while quite comfortable to carry at 27 Ibs of weight, it’s painful on the hips over 30Ib. With the big water carries on the PCT of 14Ib, I can’t see how my 11Ib base weight can work when food is factored in. The pack is also a bit fussy with arcing quite difficult and things like pole holders tending to fall off. I really enjoyed the waterproofness and the lightness though, but the durability issue is a killer. I am looking at the Robic version, which is far more durable than cuben fiber, but it is so much more expensive with the pockets and necessary dodads than my ULA Circuit that already has everything built it, (and which is awesome and carries weight well), although the Circuit is, with the matching additions on the zPack about 12 ounces heavier, probably much of it padding that allows the carry of extra weight. That leaves me with really a “summer pack” and a “winter pack” but the zPacks are way too expensive for that sort of thing.